TaylorMade Golf is the number one club company for a reason and though some “pundits” have almost made a cottage industry out of criticizing them the bottom line is they sell more clubs than anyone else. Just as with other market leaders (Microsoft and CoCa-Cola come to mind) a few people seem to have a psychological need to take out after the guy on top which probably says more about them than the leader being attacked. But let’s be clear, TaylorMade sells more clubs for a good reason. Golfers believe they perform better and all the carping or back biting doesn’t change that fact one bit. With that bit of philosophizing behind us and turning our attention to the newest lead dog from TMaG, I admit I was looking forward to the arrival of the R15. The comparison with last year’s SLDR model was going to be fun. 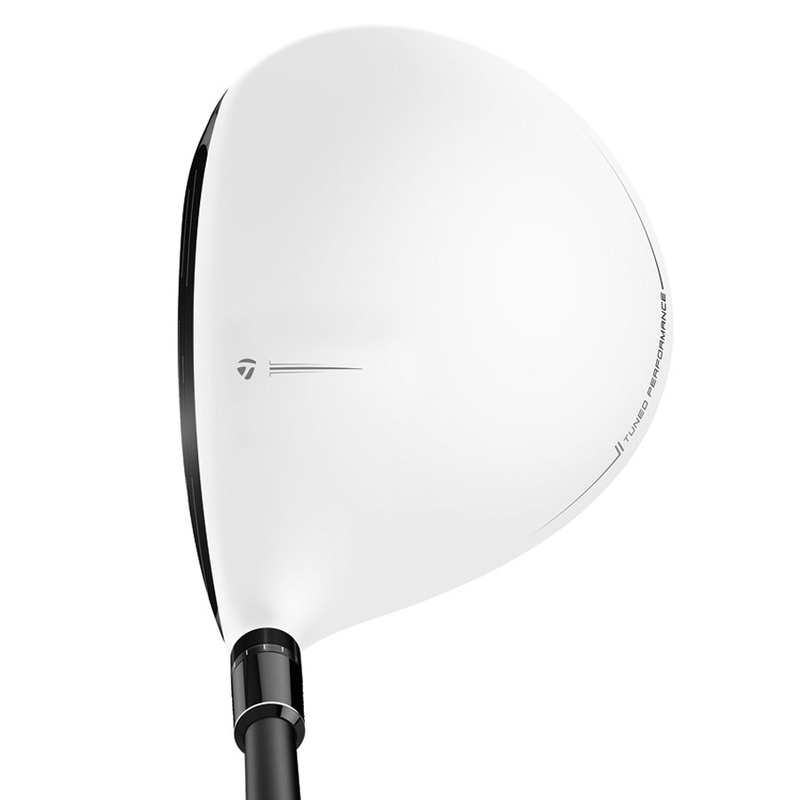 For 2015, the premier driver model’s name is a return to the old standby “R” designation first seen in 2002 but most significantly as the groundbreaking moveable-weight R7 Quad in 2004. Last year the TaylorMade SLDR model hit the top of the charts with a single sliding weight that could be adjusted either towards the toe or heel by moving it along channel in the sole to compensate for the user’s slice or hook. And it worked allowing average golfers to adjust the club to, at least in part, fix swing faults. 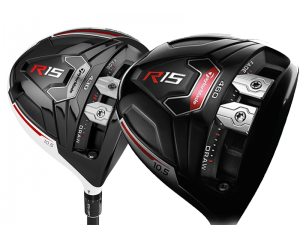 The R15 also is a return the distinctive white clubhead (though a black version is available) and it has all the technology seen in the SLDR with two significant differences, the first being not readily apparent. The weight channel was moved closer to the face so it acts as a slot to give additional face flex at impact. This in combination with 40-grams of weight being moved 12mm closer to the clubface means the R15 produces quite a bit less side spin than the SLDR and by extension just about every other driver on the market. The second and more obvious change is the addition of a second weight in the sliding sole channel. Now, not only can the user compensate for ball curvature but because the weights can be spread widely apart, the moment of inertia or resistance to twisting is really increased. As Tom Kroll, in charge of TMaG’s Global Product Creation told me, you can think of high MOI as protecting ball speed when the impact is anywhere but on the exact center of the clubface. Taking the R15 to the course a couple of things were readily apparent. The feel at impact was a step up from the previous SLDR model and though the SLDR didn’t have a poor feel, the R15 felt and sounded like the closing of a door on a Rolls Royce. Distance for drives hit at or very near the center of the face was excellent, maybe even a bit past the SLDR yardage under most conditions but where the R15 really showed off was on off center hits, especially the ones slightly towards the heel. Distance was still good and as a guess, the loss of distance was about 10-yards compared to center impact. The test 10.5 degree R15 had the smaller 430cc clubhead with the stock 45.5 inch Fujikura Speeder 67 Evolution shaft and the already impressive forgiveness would presumably be even better using the 460cc model. Of course the 430cc head tends to produce even lower spin so there is a tradeoff. Shortly after completing the 10 rounds with the R15 while staying at the Reynolds Plantation outside Atlanta I visited The Kingdom, TaylorMade’s world class fitting center located there. After an hour long session on the launch monitor under the guidance of The Kingdom’s Noel English testing the R15 with a variety of shafts to maximize launch conditions he recommended a Fujikura Pro 53 trimmed to 45 inches—1/2 inch less than the stock shaft. The results since have been impressive or put another way I’m over the moon. On just a typical swing with average contact I’ve gained 15 yards. The game’s a lot easier the farther you hit it. Negatives. The price. At $430 the R15 is among the highest priced drivers but in my opinion the performance more than compensates. Recommendation. 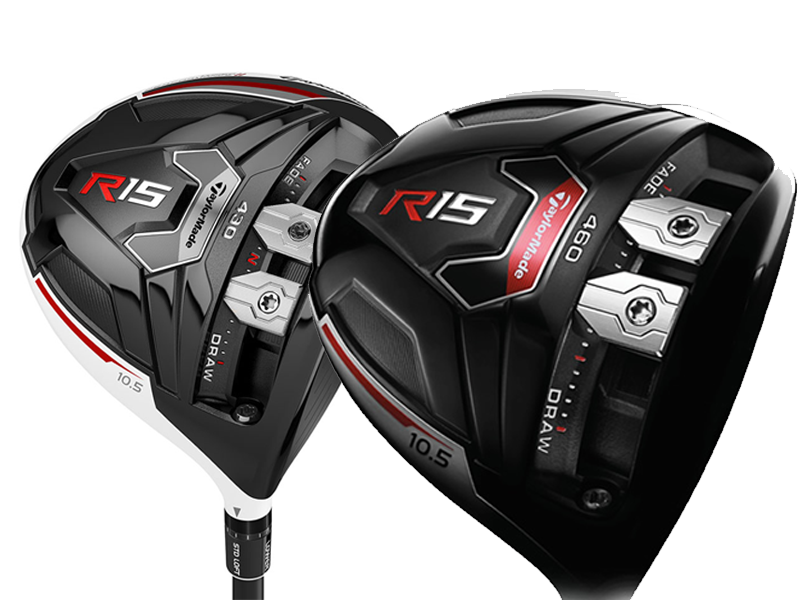 The R15 has to be at the top of your list if you’re looking for a new driver. How About Anchored Croquet-Style Putting?